Blurb: The Wrythe and the Reckoning is an avant-garde nostalgic story that will have you not only falling in love with the characters, but you’ll also gain an understanding of their individual perspectives on life. 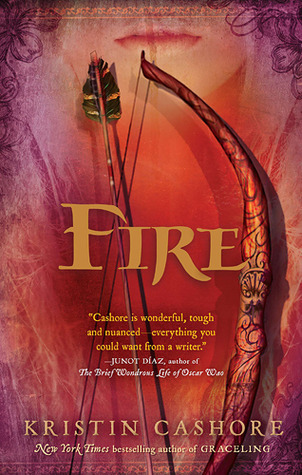 This fantasy tale is sure to be enjoyed by readers of all ages, from teens to older adults. In the mid-1800s, Lina and her family move from their small New Hampshire village to an industrial city in Massachusetts. During this time, it is said that a bizarre, malevolent human-like monster is lurking about in the forests of the New England territory. In addition, Lina is an independent thinker. She’s determined to make something of herself and to live her life the way that she wants to. Lina must face and overcome the difficult challenges surrounding her society in order to live her ideal life, all while avoiding being murdered by the so-called human-monster. ‘The Wrythe and the Reckoning’ is an epic urban fantasy tale of love, courage, bravery, freedom, and friendship. If you’re looking for a story that’s simply about romance or a horrific event, this isn’t the story for you. The Wrythe and the Reckoning is an intricately woven tale of a teenage girl’s life experience as she grows into a woman and continuing afterwards. Not only is this story about her life, it’s also about the lives of those close to her and the society in which she lives. Intriguingly complex and yet relatable, The Wrythe and the Reckoning is a thought-provoking and intellectual story of fantasy, mystery, adventure, and romance. Review: Y’all, this is the first time in a while that a book has made me so confused. It’s also been a while since I was close to straight up not finishing a book. If I didn’t feel obligated by NetGalley to do it, I probably would have given up on this book. The first thing you notice with this book is it’s voice. The tone is very old fashioned, reminding me of some of the late 19th/early 20th prose I studied for my English degree in college, except . . . way too simple. It is overly plodding, giving every detail. This book badly needed some edition. There were too many pages where nothing really happened. At all. It could have easily been a short story instead of a novel. The pacing is also just strange. The first few chapters were reeeeaally long, and then they got really short. And there didn’t seem like a point to it. Also, I should point out, that the ARC is 20 chapters long (with chapter 2 broken into two parts for some reason) and it is incomplete. There is a note from the author basically saying to check out the rest of the book once it’s published. So let’s talk a bit about the story. The main character is Lina, a young girl who is determined to be independent. Which basically means she doesn’t want to get married, which is unusual for her time period. This doesn’t stop several men from being smitten with her, despite everyone else describing her as not particularly attractive and very difficult because of her modern views. She attends abolitionist meetings and volunteers for the suffrage movement, but in a very bland way. All of the characters were very bland and they all had very average lives that were very dull at times to read about. Now let’s talk about the “monster,” the thing that is really supposed to get this story hopping. There are a handful of hints about it in the book, none of which make it sound too serious. Maybe there is a murderer loose, but that’s it. Any hints of it being a “monster” are brushed off by EVERYONE as just superstition. But we the reading, through our point-of-view character Lina, don’t actually experience the monster until chapter 18. Of a 20 chapter ARC. That should have happened much, much sooner, but instead we got a lot of day-to-day details that don’t really go anywhere and, are frankly, quite boring. Another weird thing: this book and this author have no information on GoodReads at all. The blurb above was taken from the NetGalley page. I really hate to give bad reviews, only because I know how much blood, sweat, and tears go into writing a novel. But I also have to be honest, and honestly, I did not enjoy this much at all. Honestly, there’s no way to review this otherwise, so read at your own risk. Blurb (1st book only): Olga Gay Worontzoff thinks her biggest problems are an awful name and not attending prom with Conner, her best friend and secret crush since kindergarten. Review (for the series): Okay. It is rare that the first book of the series throws me completely for a loop, but this one did. To be honest, I didn’t really get into the first book. I thought it was sweet and life-affirming in a somewhat overly saccharine sort of way. A young girl almost commits suicide due to the guilt of not being able to save her friend from dying in an accident and comes up with a list of 18 things to do before her 18th birthday to teach her how to live. Her other friends rally around her, including one who was previously an enemy who she makes peace with, and they all graduate high school. Happy ever after, the end. No, actually it’s not it. See, I didn’t think this was a fantasy/paranormal book until the very, very end. It read like just a regular contemporary Christian fiction (Olga is very devout Catholic). Then comes the last few chapters, where you find out that Olga actually did die when she swallowed the pills and this whole year has been her in Limbo preparing to go into the afterlife. And the new guy, Nate, that she met soon after the accident? He’s dead too. The first book ends with them deciding to become spirit guides (like their therapist was – another late book reveal). I was completely blindsided by this. Literally had no clue that was the direction we were headed. Like I said, it reads like a completely different genre, and then suddenly, we’re off to heaven. Or at least, the afterlife. Of course, if I head read the GoodReads page, it is clearly listed as fantasy/paranormal. But still. The second book involves Olga and Nate learning how to become spirit guides and being given their first charge – the daughter of the therapist who helped them. I have to say, this version of the afterlife is a very interesting take, especially as a version of Christianity. There are angels (including one that seems to crush on Olga a bit, which I did think was weird), but there’s also this very business-like atmosphere to it. Olga finds out that Conner, who did die for real, is not in this Limbo area, but is in Juvie, which is sort of a step down. He wasn’t as devout, so he is in a boot camp sort of situation (I think). Olga wants to rescue him, or at least see him again and make sure he doesn’t blame her for the accident. Unfortunately, she has to make a deal with a demon (yep, they’re in here too) in order to make it happen. This is one of the things I didn’t necessarily like as much. Conner has apparently always loved Olga, but never told her. Seriously, folks. Tell people how you feel. It makes things so much simpler. The problem is that Olga and Nate sort of became a couple during their faux senior year. So here we have the classic YA love triangle. Except, you know, they’re all dead. In the third book, Olga, Nate, and Conner actually get the chance to do everything over again. It was a bit convenient and contrived, but I forgave it because it made things very interesting. So Conner never died in the boating accident, so Olga never took the pills. And Nate survived his unrelated car accident, and still moved to Olga’s town. Except Conner has changed. He is reckless and lewd and downright awful. Guess who has a demon stowaway! Conner has some moments where he is able to get away from the demon, Samuel, and tell Olga that he is not always the one in control. They don’t know about the demon, so book three is all about them figuring out what is happening and finding a way to get rid of Samuel and seal him away. Which, of course, they do, but it was still very exciting. So yeah. This nice, sweet contemporary YA book series turned into angels and demons and a fight between Heaven and Hell. And I have to say, it was pretty enjoyable. Some things were obvious and a bit overly done, but there were also lots of twists and turns that kept you guessing. Blurb: After the sudden collapse of her family, Mim Malone is dragged from her home in northern Ohio to the “wastelands” of Mississippi, where she lives in a medicated milieu with her dad and new stepmom. Before the dust has a chance to settle, she learns her mother is sick back in Cleveland. I have so many other reviews that I should probably get written first, but I had to jump ahead to this one, especially since so many people were curious about this one. First things first – I LOVED this book. I probably could have read it in one sitting if I had the time. I loved everything about Mim – her quirkiness, her dark sense of humor. But before I get into my review, I wanted to address a few things that I saw on GoodReads where people were giving this one star reviews. Is this book for everyone? Of course not! There are very few books that are. I saw several people say that David Arnold was trying to copy John Green’s formula of making teenagers way too deep and philosophical for their age. Okay, first of all, John Green has sold a lot of books using this formula, if you want to call it that, and he has garnered a lot of teenage fans who could identify with his characters. If that was David Arnold’s inspiration, it’s not a bad one to use. Besides that, every time I see someone make that complaint about Green or Arnold or any number of YA authors, I feel like they are denigrating teenagers as a whole. Sure, many of us were chuckleheads at that age, but I knew and know a lot of very mature, thoughtful, philosophical teens who would fit very easily into any of these narratives. The other complaint about Arnold’s writing that I saw was that the experiences Mim has were too convenient and too unrealistic. Um, hello? This is FICTION! It’s not a true story! If a character or a scenario exists as only a plot point, well then, that was the author’s choice. Whether or not it was a good choice can be debatable, but don’t get down on authors for making their fiction too fictitious. That’s kind of their job, unless they are writing a biography or something, and even then, there’s some wiggle room. I thought this book was beautifully written. I love when characters do something that I know I would never have the courage to do, in this case, take off across the country to find out answers. During the trip, Mim meets all kinds of people, including the sweet old lady, Arlene; the creepy “Pancho Guy;” Walt, a lovable kid with Downs Syndrome; and many more (including one major one that I am leaving out because I don’t want to spoil some things). At several times in the book, Mim is writing letters to “Isabel,” someone we don’t fully understand until the very end of the book.This is one that I am looking forward to re-reading some day so that I can go back and see how the letters make me feel now that I know who Isabel is. I’m sure that will change some things. She also shares many memories about her mother, who she doesn’t live with. We don’t find out why until the end, and although it wasn’t a huge surprise, it still packs a pretty hard punch. We also see her trying to come to grips with her father and new stepmother, which includes a whole lot of resentment and anger. I thought this book was great. I gave it five stars on GoodReads. Have you ever finished a book and just said AAAAHHHHHHGHGGH! Yeah. Here’s my review of Embrace the Night by Norah Wilson and Heather Doherty. As I suspected, this book focuses more on Brooke, the third of the girls who discovered how to “cast out” from the attic of their dorm at Harvell House (for a definition of “casting out,” see my Enter the Night review). Brooke’s issues mostly have to do with her feeling like an outcast. Her mother has chosen her new husband, a very strict man with whom Brooke doesn’t get along at all, over Brooke and all her potentially embarrassing problems. Brooke’s ex-boyfriend Seth had broken up with her, only to replace her with someone his family would find more appropriate. But it’s the last straw for Brooke when she thinks that Alex and Maryanne have left her out of a big discovery. These are supposed to be her friends, her sisters, the people who accept her for who she is – and they’ve been keeping secrets. In short, Brooke has a melt down. She goes up to the attic and casts out, leaving her physical body behind and revelling in the freedom of being in her cast form. Except it doesn’t work. She’s still really angry which, as we’ve seen before, does nothing good for her impulse control. She does the one thing that she thinks will teach Alex and Maryanne a lesson – she breaks the window. Until now, this has been the only way for them to both cast out of their bodies and to return to their bodies. Now they are stuck in cast form with no way to get back. When they are in cast form, they can speak to one another, but no one else can hear them. To make matters worse, the whole town is up in arms about the “Hellers,” hunting down what they think are demons from hell, trying to find anything to take them down permanently. The girls have limited resources and even fewer allies, most of which they barely trust. Plus, being in their cast form is tiring them slowly, not to mention what’s happening to their physical bodies, which grow weaker and weaker from non-use. They have to figure out a way to get back in, but how? I love this series, I really do. It’s so so so so good. I liked reading more about Brooke’s character, since before this I really didn’t like her. She seemed very confident to the point of being cocky, but that’s mostly an act to hide how hurt and rejected she usually feels. She’s still not my favorite character, and she still does some pretty bad things, but I understand where she’s coming from more and, as a result, like her a bit better. This whole book is full of suspense and dread – they’re really in trouble now and there’s no way in sight (at least at first) to do anything about it. I was so frustrated by the end of this book though! I thought for sure that this was a trilogy, that this would be the final conclusion. Nope! There is another book, which is only listed on the author’s website, called Forever the Night, supposedly coming out Spring of 2014. It doesn’t show up anywhere else, not on GoodReads, not on Amazon for pre-order. I hope this book will be out soon because, holy crap, Embrace the Night ended on a cliffhanger! I need to know what happens! Now! Seriously though, this series is excellent and keeps on getting better. You should definitely give it a read. I’m going a little bit out of order with my book reviews this week – it’s taking me so long to get these reviews done, I start to forget some of the details. So before I forget this one, I wanted to go ahead and knock it out. This book is the prequel to Graceling, which I read earlier this year for the podcast. Set in the kingdom of the Dells, it tells the story of Fire, the last human monster in the world. I need to stop and explain the whole monster thing. With all the different animals (humans included), there are normal ones and monsters. The monsters are usually much more brightly colored (there was a kitten that was bright gold and green, for example) and in some cases, they are much more violent. With humans, it gives them certain powers, particularly mind control. They are also so strikingly beautiful, it is hard for them to go anywhere without attracting feelings of extreme envy or lust. Back to the story. Fire was named for her brilliantly colored hair (it’s red and gold – yeah, basically looks like fire). Her quiet life living with one of the old king’s ex-advisors is shattered when a poacher tries to attack her. There is war brewing on the horizon and somehow this attack is connected to a grander scheme. A host of other events leads Fire to come to the King’s City, where she has to meet the new king, Nash, and his brother, Brigan. She also has to confront her past, which is the part of the book that I enjoyed the most. Fire’s father, Cansrel, was the closest advisor to Nash’s father, King Nax. The two of them engaged in drugs and debauchery, leading the kingdom to the edge of ruin. Cansrel was the instigator, and at his heart, a very cruel man. Fire thinks that she is probably the only thing that her father ever loved. Cansrel’s legacy leaves the people of King’s City with a bad taste in their mouths in regards to Fire – they expect her to act the same way he did. As Fire gets more and more involved with the plans to protect the city (and uses her powers more than she ever did before), she is constantly afraid that she will become like her father. She loved him, but she doesn’t want to be him. This inner conflict was what made the book for me. Sure, there’s a love story, a sort of love triangle (or love rectangle, at times). Brigan is a really well-written character – his journey from hating Fire on sight, to falling in love with her, was believable and very well done. Readers of Graceling will recognize another character in this story – Leck, the future king of Monsea. Here, you get to see what his powers really can do and it is terrifying. He is an excellent villian in both books. This is a very good series. I am definitely going to hunt down Bitterblue, the third book in this trilogy, once I finish with all the Harry Potter books.